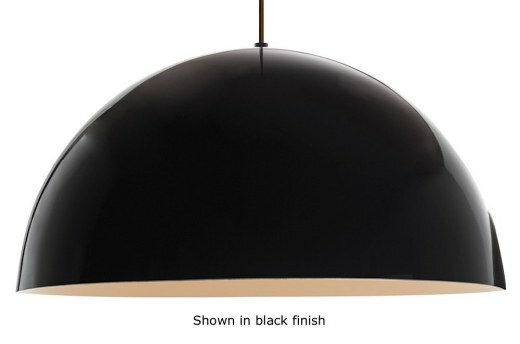 This unique spun metal pendant is finished in a high gloss black paint ouside and with white paint inside of the shade. 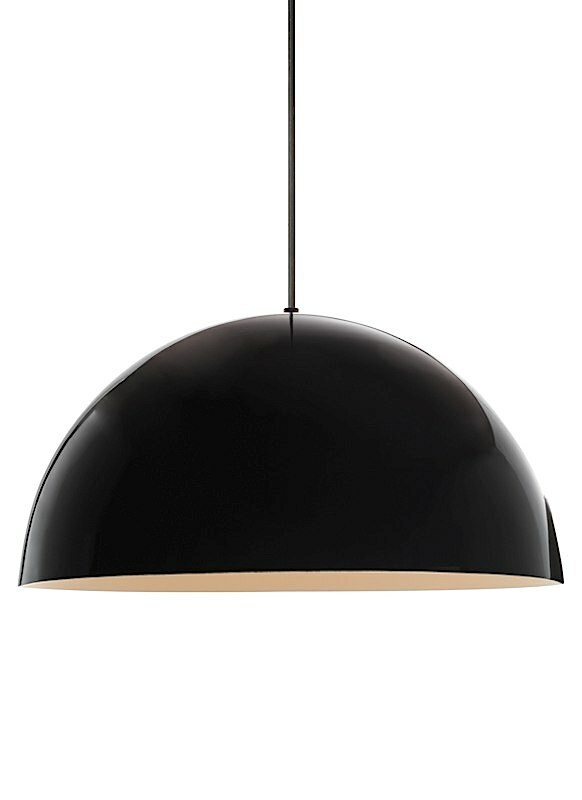 The Powell Street Pendant offers a modern and glamorously industrial look for your kitchen, living area or other living space. Black, satin nickel, and white finish options. Includes 120 volt, 150 watt medium base G40 globe lamp or 32 watt GX24Q-3 triple tube compact fluorescent lamp surrounded by a blown white glass globe diffuser. Fixture is provided with six feet of field cuttable-cable. Incandescent version dimmable with standard incandescent dimmer (not included). This product can mount to either a 4" square electrical box with round plaster ring or an octagon electrical box.